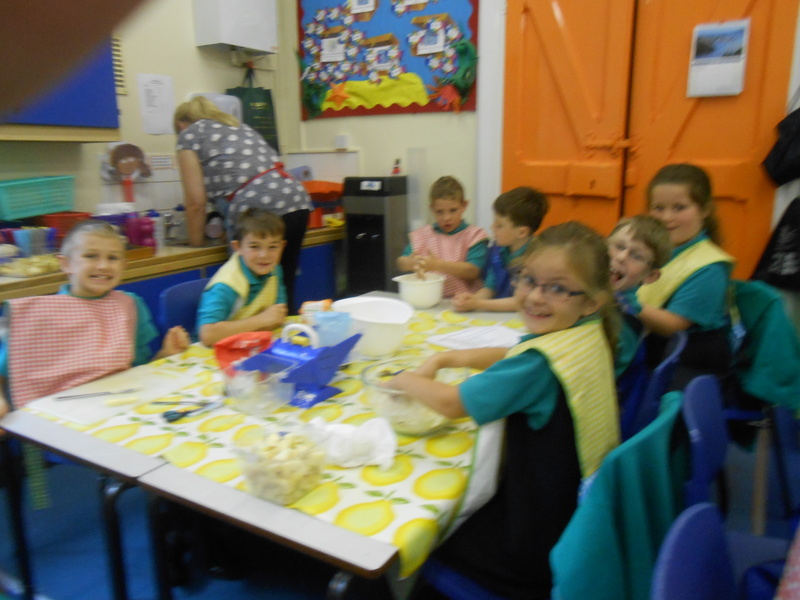 We all enjoyed making crumble with the blackberries we collected. 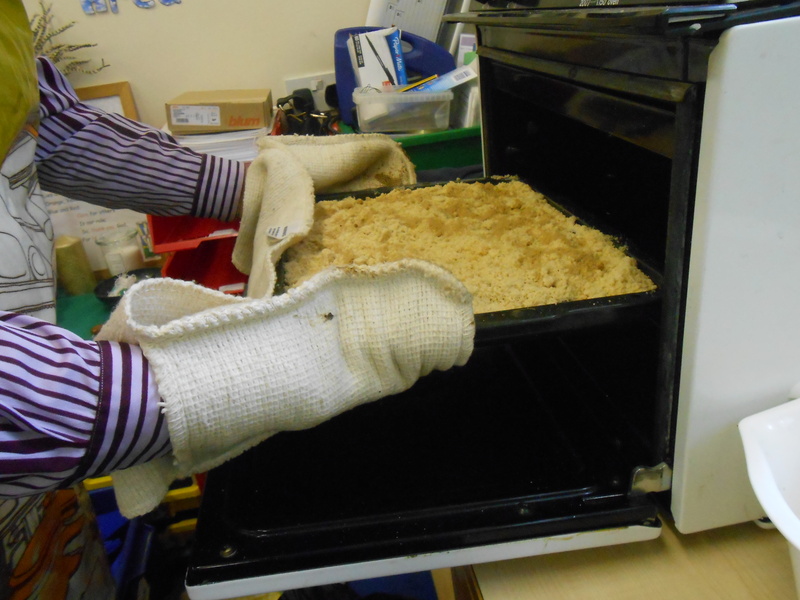 The children picked pears from the tree in their school garden and together with these and some bramley apples made a delicious crumble that filled the school with a smell that made all the other children and teacher’s mouths water! 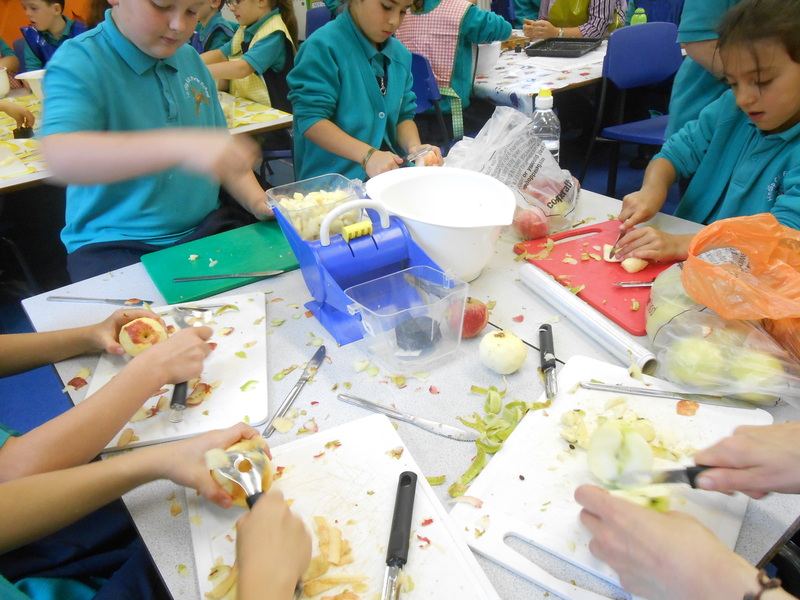 We all helped to weigh the ingredients and peel and chop the fruit. 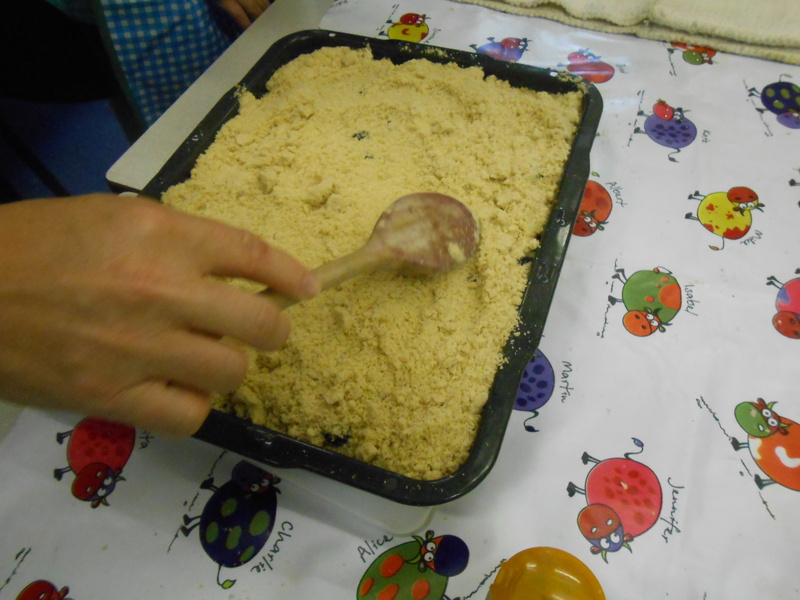 Once the crumble was made we all enjoyed tasting it together with custard. Most of us thought it was really delicious! Peeling the apples and pears was trickier than we thought it would be! 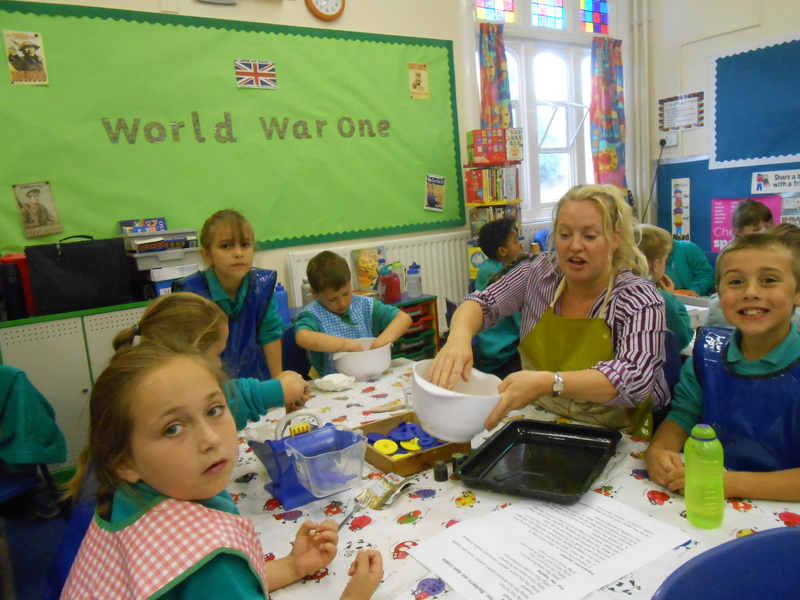 Rubbing the butter sugar and flour together was a messy job! Putting the crumble topping on top of the fruit. Putting the crumble into the oven to cook. It smells delicious!